A clip of my work for Cigar Aficionado magazine Aug. 2012. 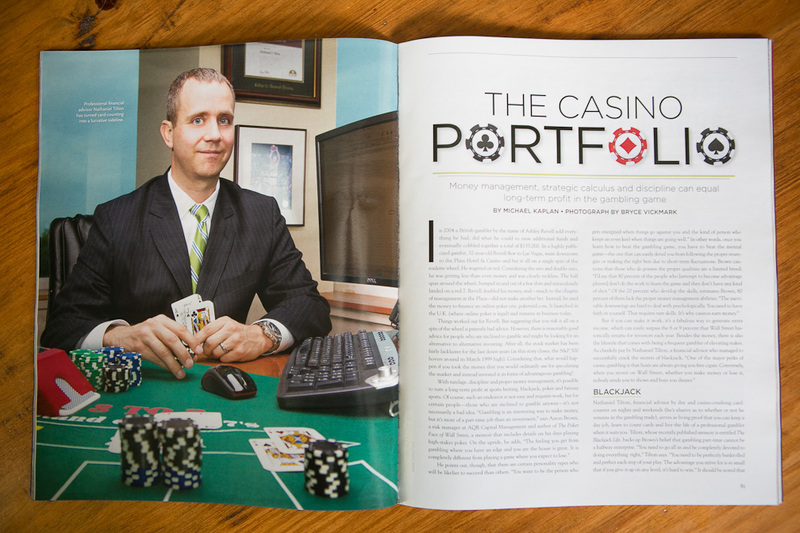 The story was about a Nathaniel Tilton, “a financial advisor by day and casino-crushing card-counter on nights and weekends…” The assignment was a particularly fun one! I was charged with making an image at Mr. Tilton’s Waltham offices that was equally casino and business looking at the same time to emphasis the duality of our subject. Mr. Tilton was a very willing subject and a real pleasure to photograph!